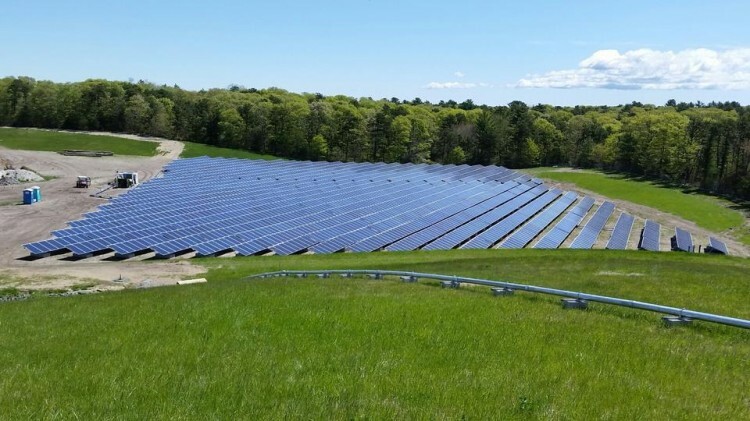 As part of a development team led by American Capital Energy (ACE) and with engineering support from Weston & Sampson, REDP provided development management services for utility-scale solar projects on closed landfills and undeveloped municipal sites in 7 communities on Cape Cod and Martha’s Vineyard. The projects, representing over 16 MW of solar PV capacity, were procured by the Cape & Vineyard Electric Cooperative (CVEC) and awarded to the ACE development team in recognition of our significant local expertise and national solar project development experience on challenging sites. Six of the eight projects are located at closed municipal landfills. Each landfill presents a unique set of project engineering challenges based on landfill cover construction, landfill topography, existing uses at the site, and other factors. In general, each project is designed to maximize the installed PV capacity at the landfill, and involves the installation of several thousand fixed tilt solar panels on the capped landfill, using a non-penetrating ballasted foundation system to protect the long term integrity of the landfill cap. Each project is connected to the local distribution grid, and the electricity output is virtually net metered for the benefit of CVEC and the host community. The projects all participate in the Massachusetts Solar Renewable Portfolio Standard (SREC I). The aggregate output from the eight sites is expected to exceed 20 million kilowatt hours of electricity annually. REDP managed the engineering & permitting efforts for each project, including Post Closure Use approval from the Massachusetts Department of Environmental Protection; land use approval from the host communities; interconnection approval from the local utility (NSTAR); and SRPS eligibility from the Massachusetts Department of Energy Resources. The facilities all reached commercial operation in 2014.